There is a certain way in which the world, in general, is supposed to work. If you say “I’m going to the store,” it’s generally assumed that you intend to return with items you have purchased. Similarly, for a car company, a statement like “this is our $35,000 Tesla Model 3” generally means that said car will soon be built and delivered to customers. But is... that... the case? With Tesla? 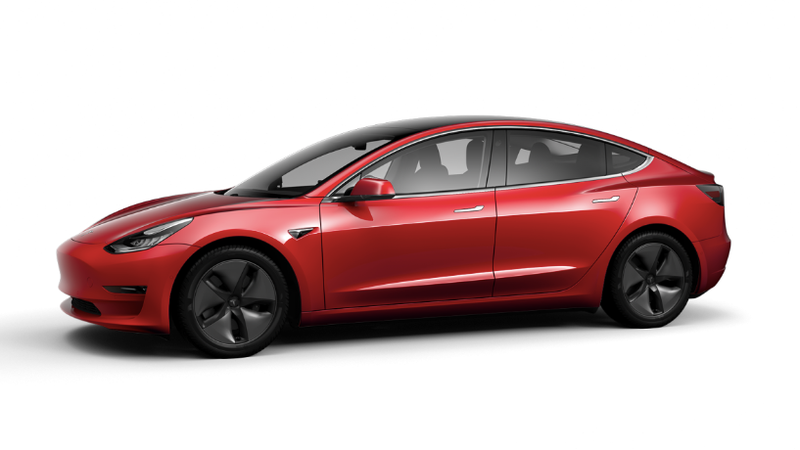 Tesla officially unveiled the $35,000 Model 3 nearly a month ago (it partially achieved the cut-price car by laying a whole bunch of people off and closing all its stores, and then, deciding that no, it will not do that, in part because that would violate a ton leases on those stores), and, this being a month later and the base model being a car that’s been officially “in production” for almost two years now, you’d expect $35,000 Model 3s to be rushing out the door. Or tent flap. Anyways, enough jokes. This is a real issue, because the $35,000 Model 3 was Tesla’s whole MacGuffin for years. The “cheap” electric car, as it were, would prove not only the company’s viability, but the whole propulsion method’s viability. Elon Musk was under enormous amounts of pressure to finally show the company could produce what it set out to create over a decade ago. And when it was finally unveiled on February 28th, 2019, it was thought that we had reached the end of that chapter. The $35,000 Model 3 is here, the Haters had all been proven wrong, and from here on out it would be smooth sailing, drinking from the chalice of victory, and tweets. But there have been rumblings that the $35,000 Model 3, while “here” in the theoretical sense, might not be quite “here” in the customers-have-actually-taken-delivery sense. In fact, it’s a little unclear if the $35,000 Model 3 is being built at all, with initial delivery estimates slipping from “the final weekend of the quarter,” which would originally have been this upcoming weekend of March 30-31. According to multiple reports at the official Tesla.com forums, Tesla Motors Club, Model 3 Owners Club and Reddit’s r/teslamotors forum, Tesla has been texting customers to delay previously-scheduled deliveries of the long-awaited base model. Many of these owners report that delivery dates had been scheduled for the final weekend of the quarter, when Tesla typically schedules major delivery pushes, but the text messages informing them of the delivery delay do not specify a new delivery date. Which is all to say, this is a bit weird. With most other companies, you could just shrug your shoulders a bit, chalk it up to some not-quite-settled messaging, and think that surely the promised cars will be delivered soon. And maybe they will be! Maybe they will be delivered by the end of June, or even earlier, which would all be nice and great. But this is the same company that has promised self-driving cars this year or this year or maybe even this year. The company with self-charging snakes that have seemingly disappeared, the company with drive-in theaters that haven’t materialized. The company with a CEO that got into trouble with the U.S. Securities and Exchange Commission for allegedly using tweets to give the share price a boost with non-existent take-private deals. Is the $35,000 Model 3 really real? We asked Tesla if they could add anything to Niedermeyer’s story, and if we could drive a $35,000 example of the Model 3. If you know what’s going on here, or are not getting your base Model 3 as expected, reach out to us.